In the January/February 2016 issue of the ABA’s Law Practice Magazine, I was asked to put on my ethics attorney hat in authoring Struggling with Ethics Issues Surrounding Branded Networks. Issue Editor Nick Gaffney asked me to write this sidebar in a magazine dedicated to the theme of branded legal networks–a huge topic of discussion in law practice management. There is not a more controversial area of lawyer marketing when it comes to interpretation and enforcement of the Rules of Professional Conduct (RPC) than the issues that arise from the ever-growing legion of branded networks in the legal profession. From Avvo and Justia to Best Lawyers and a slew of entities that may or may not be “lead generation,” the issues, rules and opinions vary from state to state. They remain…consistently inconsistent. One thing is for sure, these companies are not going anywhere. The question is where they end up fitting in the long term approach to business development among attorneys. 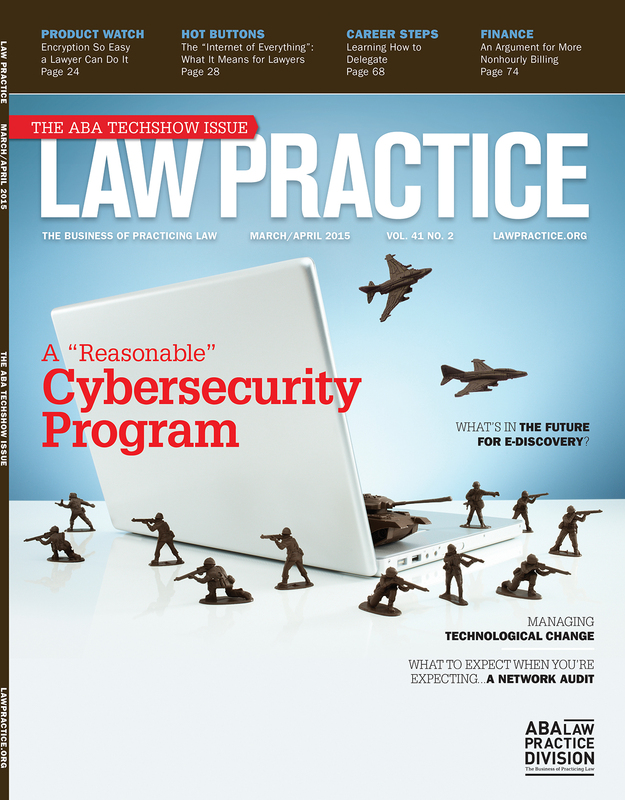 In the March/April 2015 issue of the ABA’s Law Practice magazine, my topic is relevant to pretty much every practicing attorney (not to mention almost every human being on the planet). What does your online portfolio look like, and why should you care? Every week, I will meet, speak with or e-mail a prospective client. While I will send them my own crafted biography, links to my website and blog, and additional information–what they will often be more interested in is what they find when doing a search for my name. With a somewhat unique first and last name, what they see will almost always be me. This is not the case with many that have more mainstream names to search for. While some individuals and firms are forced to use reputation management companies to “fix” a page of results, most of us simply live with what we see. But the thought that you have no control over what appears is not accurate. Taking advantage of profile pages on powerful sites should help control that first page of results. Few will venture on to page two. Almost nobody will get to page three. And only stalkers are likely going beyond. 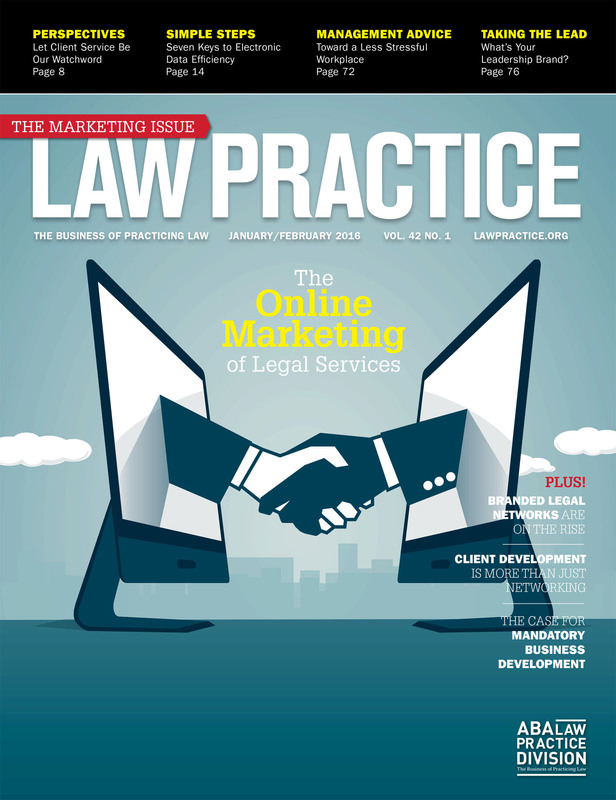 In the March/April 2014 issue of the ABA’s Law Practice magazine, I address a law firm marketing topic that never seems to lose steam–the impact of lawyer ratings, rankings and reviews on the legal profession. Of course, I should not really complain. The topic has proven to be great fodder for my Pennsylvania Bar Institute ethics courses; I’ve been quoted countless times in the media on the subject; in the ABA Law Practice Division, we led the “educational” charge with major panels (and participation from all the players in the business) for both the ABA Law Firm Marketing Strategies Conference and an ABA Annual Meeting. Last October, an ABA CLE Premier Speaker Series program on the subject attracted nearly 5,000 attorneys. Everyone always is interested and has an opinion. It has been fascinating to watch the evolution of the industry over the last 15-odd years. To think, when I first became a lawyer, the only thing you really knew about was Martindale-Hubbell. Today, the brand struggles mightily with shifts from across the pond (the UK’s Chambers publication); from known ranking brands such as U.S. News & World Reports; from thousands of local-yokel attorney “awards”; and both legal and non-legal online reviews from the likes of Avvo and Yelp. The business has never stopped booming, but it has definitely changed–a lot. Join me on February 13th in Washington, DC for a full-day tutorial on media and press relations, presented by the ABA Journal, in conjunction with the ABA Center for Professional Development. I still recall my old friend Dan Leary telling me about a conversation they were having in the Major Indoor Soccer League office back in 1986. I was the PR Director of the New York Express and Sports Illustrated had sent top reporter Franz Lidz to spend the week shadowing the team. He was writing an SI piece about the importance of the New York franchise to soccer in the United States. Leary told me that in the league office they were trying to guess how high in the story I would be quoted. The answer was paragraph two. I might have been 23 years old, but I knew how to get myself quoted and interviewed–on TV, in the New York Times, Washington Post, SI and major dailies throughout the country. In my pro sports days, I was known as a go-to guy by the media–for quotes, for off the record stuff, for ideas to fill a column or a TV interview. 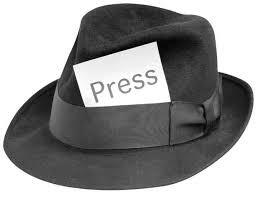 If you were a journalist, you knew that I’d call you back fast, tell you something you did not already know, and provide a colorful quote (even if I was giving an evasive answer). When I needed a favor–put this in the paper, don’t put this in the paper, quote this guy, do a feature on this player–I was paid back for being a reliable source. Some of the stuff I pulled was pretty clever. But even today, I would not write about it or give specific examples–I’m not sure the statute of limitations has run on everything. And many of those conversations and interactions were certainly off the record. But I was not a lawyer yet, so the Rules of Professional Conduct did not apply. After taking a one month “sabbatical” from my monthly Web Marketing Today article, I address a topic that is becoming increasingly important for the legal professional–how to respond to online criticism. How Lawyers Should Respond to Online Criticism addresses dos and don’ts as they relate to the growing slate of websites that allow for posting of “reviews”, whether you are a plumber, doctor or lawyer. As I often teach, this is not an area where you have the option to participate. If I’m a client and want to post a positive or negative review of your professional product for the world to see–I can. I’ve often used the power of Internet-based reviews myself. When my realtor pissed me off a few years back, I let a number of websites know what I thought of her. It did not go unnoticed. I’m a huge review contributor to Open Table–posting at least one a week after every dining experience. I often hear back from restaurants for the good and the bad.